To get the most value from Visio it’s important to understand how Visio shapes can be much more than clipart when properly designed. The shapes can be programmed through their ShapeSheets to behave in ways that will automate and facilitate the drawing process. One of the most powerful behaviors is the ability to link to external information via the Web through specially designed Hyperlinks. In other words, we can give you the ability to simply click on the shape and gain access to a wealth of additional information. One ShapeLink sends you directly to the product page for specifications, literature, etc. 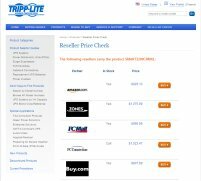 The other ShapeLink sends you to a Reseller Price page where you can compare the prices at various resellers and click a “Buy” button to start the purchase process. You can click on the images below to see the actual pages. Another example of how useful ShapeLinks can be is in our MapShapes. 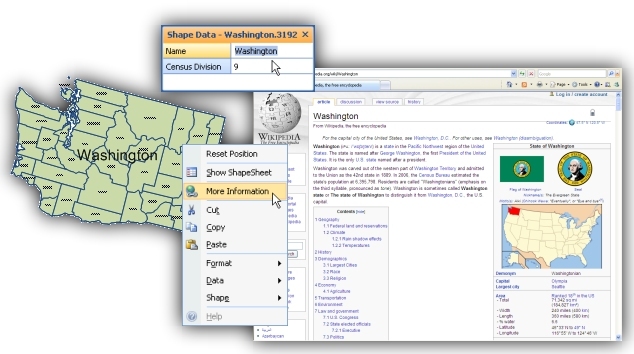 In the US States and Counties sets each state and county contains a right click ShapeLink to its Wikipedia information page. 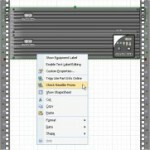 In addition to the Visio stencils in our MapShapes, we include Enhanced Windows Metafiles (.emf) images for use in non-Visio applications. However, .emf files cannot contain Hyperlinks although you can add them manually after you’ve inserted the image into a Word document or PowerPoint show for example. Visio provides a richer and more powerful platform that enables us to deliver this capability with no effort on the part of the end user. The “…Continue Reading” link doesn’t work in the teasers I found for this page. I got here via a “Leave a Comment” link. Thanks, Scoz… I’m trying to figure this out but at least the link in the article headline works.